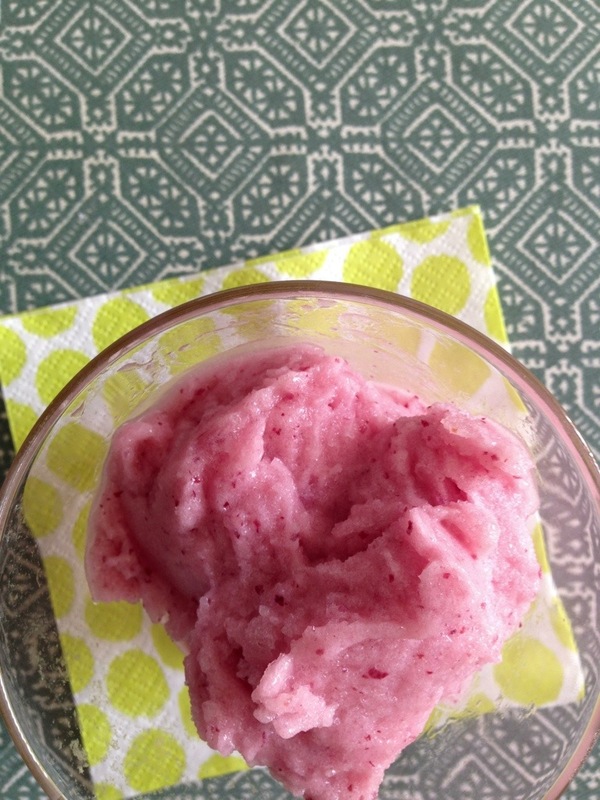 Did you know it’s really easy to make your own sorbet without an ice cream maker? All you need are a blender, a freezer, and a shallow baking dish. This pretty pink sorbet is made from white nectarines and champagne. You can use peaches and moscato too! 1. Blend pitted nectarines and champagne in a powerful blender until smooth. Add honey if desired and blend again to combine. 3. Blend the frozen chunks again to turn them into a sorbet consistency. 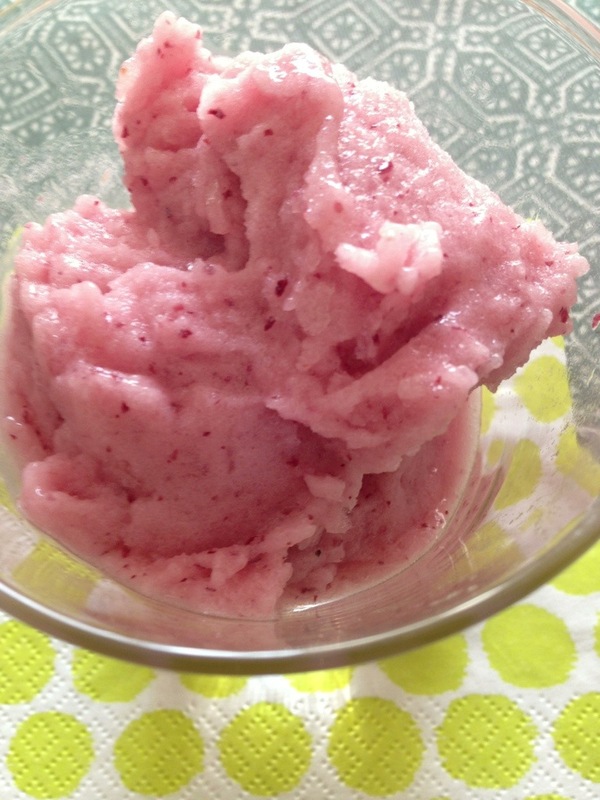 If you use frozen fruit, you can skip the freezing and re-blending and just eat the sorbet after step 1! This pink sorbet is so refreshing! If you use ripe fruit, it doesn’t even need honey! Enjoy and experiment with your own flavor combinations.